My 17 year old son’s summer team had practice last night. I was watching as they were taking batting practice, groups of three at a time. Ii was going ok, but I wouldn’t say the batters were putting a lot of energy into it. They had already done fielding practice for about an hour and a half and they were hot and tired. Then the coach throwing batting practice said time for “lightening round”. All of a sudden the energy level and concentration in the batters jumped up big time. Here are 17 year old players and they still love little league baseball drills. Why, because the coaches make the practices fun as well as helpful. In “lightening round” you get to bat until you don’t get what is judged to be a hit. Take a called strike, and you are out of there. Hit an easy ground ball, a pop up or foul ball and you are out of there. But the point is a little competition was added to practice and the hot and tired players got real interested. 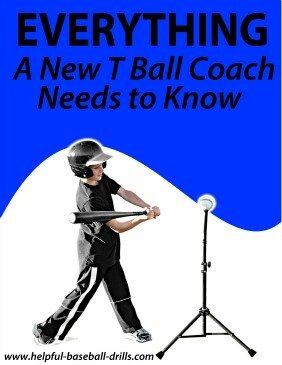 I may harp on this too much, but if you can not make little league baseball drills fun, then turn the coaching job over to someone who can. 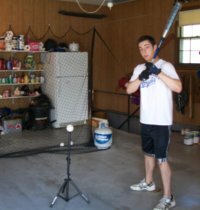 It usually doesn’t take much of a twist to make a boring baseball drill fun. Oh, there are drills that need to be practiced that are tough to make exciting. Just work those drills in between a couple of fun little league baseball drills. Let’s move on to a couple of great little league baseball drills. How exciting is it when a runner is thrown out at home? Especially when that runner was on first or second base and the batter got a hit to the outfield. With one play the defense turned the momentum around to their advantage. That is what good relay throws can provide. Relay throws that get the runners out are the results of good team work. And good team work is the result of good little league baseball drills. Relay throws will involve most of the players on the field. The play starts with a runner or runners on first and/or second and there is a hit to a gap in the outfield or over an outfielder’s head. The relay process begins. The catcher must first determine quickly which base the relay should go to. He then communicates that to the infielders. The second baseman will be the relay man on hits to right field and right-center field. On those plays the shortstop will cover second base. On all other hits the shortstop will be the relay man, and the second baseman will cover second base. If there is any doubt who is the relay man, the shortstop is in charge and makes the call. The relay man listens for the catcher to call which base the relay throw is going to. He does this while running towards the outfield. He is running to a spot where the outfielder can make the throw to him, and he in turn can make the throw to third or home. Once he hears where the throw is going, he starts communicating with the outfielder. All he needs to do is let the fielder know where the throw is going, as in “home home home” or “third third third”. 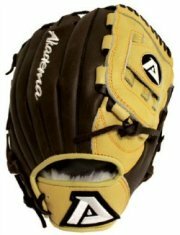 This also lets the outfielder know where the relay man is. There may be times when you will have to use a double relay. In those case the cutoff man (first or third baseman) needs to become involved as the second relay. It is the job of the third baseman or catcher, depending on where the ball is going, to line up the relay man in a straight line between the base and the outfielder. The main reason is for guidance to the outfielder if he tries to make the throw all the way. Also, a straight line will make the throws be the shortest in distance. There probably is no need to work on this little league drill until the players are at least 10. And even at 10 it is a tough task. Do this drill several times without runners, and once everyone has the hang of it, bring runners into play and try it live. Also, make sure you move the players around to different positions. It is best that everyone gets some reps at any position they might play. The batter gets a hit and the runner on second turns at third and heads home. Everybody and their brother can see that there is no way to get this runner at home plate. But the outfielder hears either “home home home” or hears no instructions, so he attempts the throw home. The throw goes through and as everyone knew, the play wasn’t even close. But also the batter moved up to second base when the throw went through. Now there is another runner in scoring position. 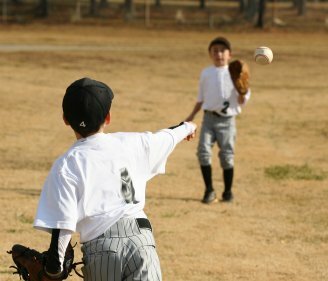 This happens so often in youth baseball that I think there is not much discussion about it in little league baseball drills. The cutoff man for hits to right and center field is the first baseman. And the third baseman or the pitcher is the cutoff man for hits to left field. It will be the third baseman unless he has to cover his base. Receiver Yells "Cut the Throw"
It is the catcher’s job to tell the cutoff man to cut the throw or not. If the catcher thinks the throw should not be touched and let it go through, then he says nothing. If he wants the throw to come home, but there needs to be a relay throw from the cutoff man, he says “cut four”. And, if he thinks the throw should be cut and thrown to second base, he says “cut two”. And when he thinks there is no play to be made, he just says “cut”. The biggest problem I see in youth baseball games is the cutoff men forget to get into position. The catcher wants to tell the cutoff man to “cut two”, but the cutoff man is too late to his spot. Again run the relay drill, and this time add in the cutoff man. 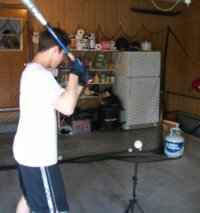 When you go live with this little league baseball drill add a runner at home plate so there can be “cut twos” throws and some plays at second. Don’t expect players to master these drills in a week or two. The different tasks and communications in these drills are difficult. And probably most of your players are trying to learn more than one position. So go slow with these drills and practice them often. It will be worth the time you spend on them.